Toys “R” Us announced on Monday that, as of January 20, a new company called Tru Kids took over as the parent of Toys "R" Us, Babies "R" Us, and the company’s former mascot Geoffrey the giraffe. The retailer, which closed all of its U.S. locations last summer after filing for Chapter 11 bankruptcy protection in March 2018, revealed that Tru Kids will be led by Richard Barry, the former chief merchandising officer of Toys “R” Us. 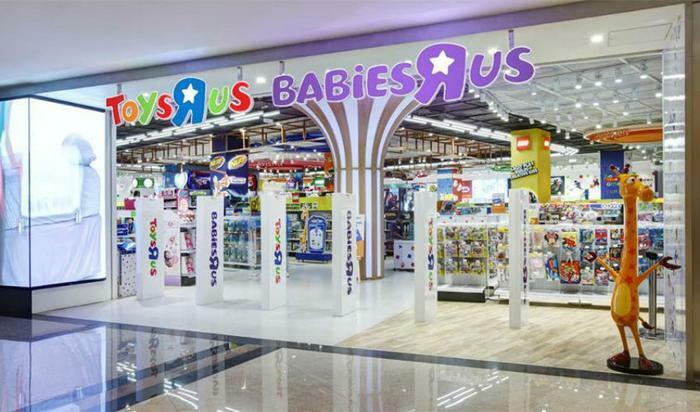 "Despite unprecedented efforts to capture the US market share this past holiday season, there is still a significant gap and huge consumer demand for the trusted experience that Toys R Us and Babies R Us delivers," Barry said in a statement. Barry told CNBC that Tru Kids is exploring several business plans, including stand-alone stores and pop-up shops. Updates on the company’s U.S. business strategy are expected soon. "We have a once-in-a-lifetime opportunity to write the next chapter of Toys’R’Us by launching a newly imagined omni channel retail experience for our beloved brands here in the U.S. In addition, our strong global footprint is led by experienced and passionate operating teams that are 100% focused on growth,” Barry said. Tru Kids will be opening 70 stores in 2019 in Asia, India, and Europe. The company will focus on growing the Toys “R” Us brand and e-commerce traffic, according to a statement. "We have an incredible team focused on bringing Toys ‘R’ Us and Babies ‘R’ Us back in a completely new and reimagined way, so the U.S. doesn't have to go through another holiday without these beloved brands," said Barry. Toys “R” Us was forced to file for bankruptcy last September in the wake of disappointing holiday sales and mounting debt, which ballooned to almost $5 billion. The toy chain fell victim to competition from online retailers like Amazon, as well as brick-and-mortar rivals like Target and Walmart. In an effort to avoid meeting the same fate as Toys “R” Us, Tru Kids will focus on technology, in-store experiences, and customer service, Barry said. Toys R Us emerges as new company called Tru Kids Inc. In our latest quarterly report surveying the media landscape, Left To Your Own Devices, we update the media consumption habits of major demographic segments based on recently released 2Q ‘18 data.We also provide a new analysis that compares “time spent” and second-screen behaviors between TV and radio / audio devices. Related Videos On: Very Disappointing News!